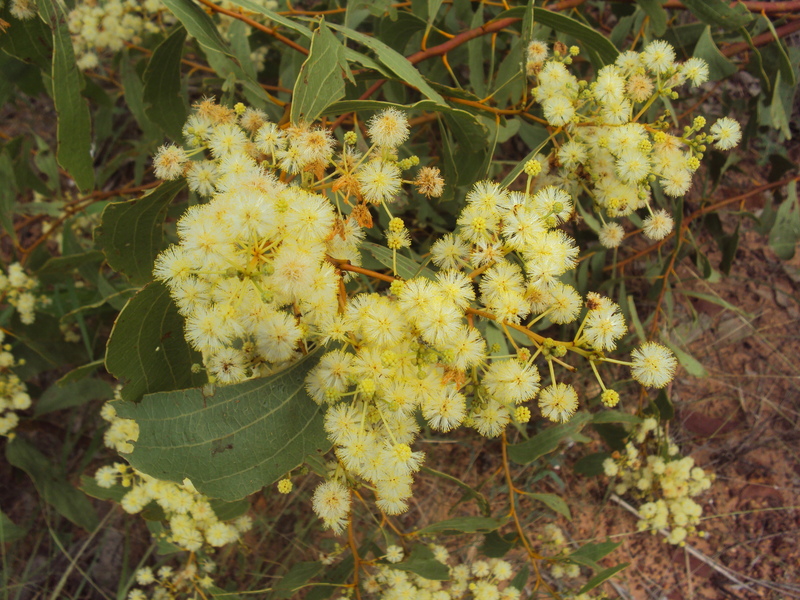 Tall shrub or small tree, heavily veined phyllodes and cream flowers, often called Ghost Wattle. 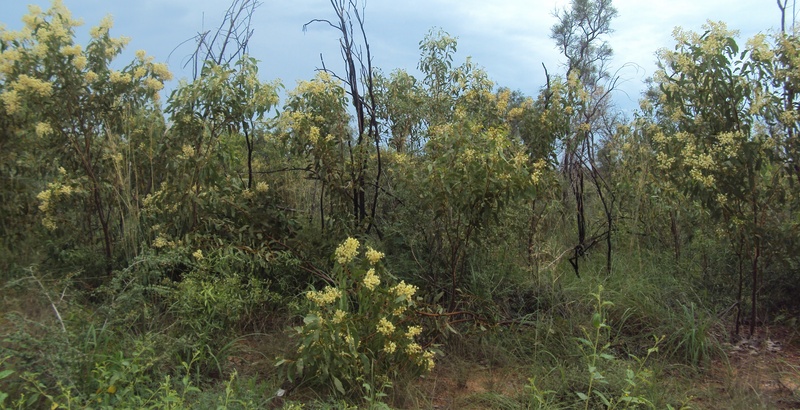 Pods are large, wide and woody, containing several large seeds. 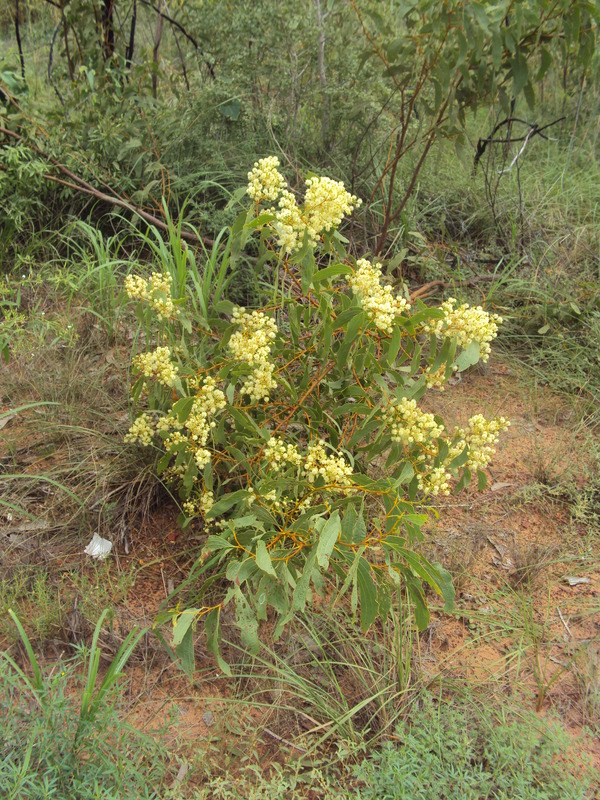 This entry was posted in Acacia and tagged Acacia platycarpa. Bookmark the permalink.